FIFA President Sepp Blatter will resign from soccer's governing body amid a widening corruption scandal and has promised to call for fresh elections to choose a successor. "This mandate does not seem to be supported by everybody in the world of football," Blatter said Tuesday at a hastily arranged news conference. "FIFA needs a profound restructuring." 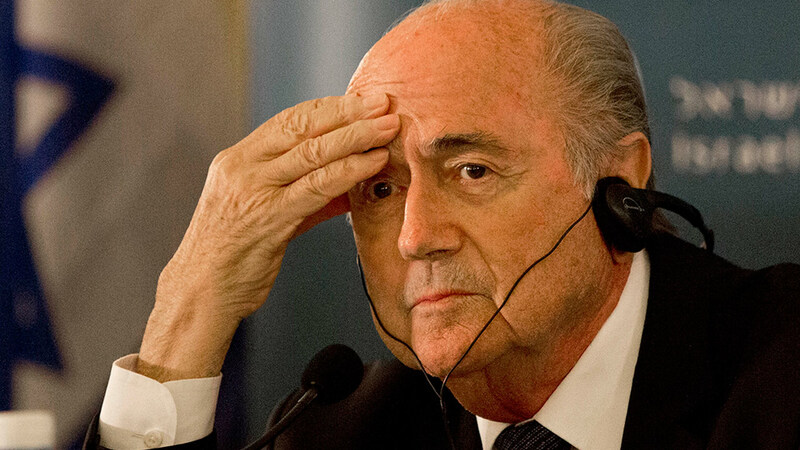 "I will continue to exercise my function (until the new election)," said Blatter, who looked strained and serious. Three days earlier, Blatter was defiant and feisty in the same room when fending off questions about FIFA's battered reputation and the chance U.S. federal agencies could seek his arrest. Blatter said he reached the decision after he had "thoroughly considered my presidency and ... the last 40 years in my life." Blatter joined FIFA in 1975 as technical director for development projects, was promoted to general secretary in 1981 and spent 17 years as right-hand man to Joao Havelange of Brazil before being elected to lead world soccer. The new election will be overseen by Domenico Scala, chairman of FIFA's audit and compliance committee. Scala gave a statement immediately after Blatter in which he praised a decision that was "difficult and courageous in the current circumstances." "This is the most responsible way to ensure an orderly transition," Scala said.